I got a few feedbacks that my blog are too vulgar or profane to them. Reverting back to that, no one ask you to come reading my blog in the first place. You may not be aware of this, but on my very first post on this blog, I’ve already stated clearly that there’s will be excessive swearing. It’s not my fault that you are unschooled. Go somewhere else if you dont like this blog. There are millions out there for you to criticize. I got more and more obssesed blogging when i got another friend blogging as well. Motivation mar, found a kaki already.Writing about anything isn’t a problem for me since young as i used to write my very own fairytale *silly smile* NOW, i blog almost about everything, my thoughts, my life, anything that i can have a say on. Some maybe find it corny, corky, weird, freaky or even cute but this is my blog and i name it whatever i want.Ever heard of An Apple a Day, Keeps the Doc Away? Well, this is a place meant for others to see my ups and downs in life and makes them realize that there is still happiness in this cold world (ups) or they can simply be vultures and feed on the downs of my life Hahahaha.I know its lame. shaddap! apple4today is now my dearthelma(as i have a few comment now and then), my sandbag for me to rant and let out all the anger or steam(hence the swearing), my life scrapbook, the daily newspaper of me and infinity supplies of blank pages for my life to fill ’em up!! This is a mixture of nicknames. I love winter, so I’m named winter by my friends. Another friend called me steam bear because i’m always in a 50% concious state. Plus, a bear hibernates. 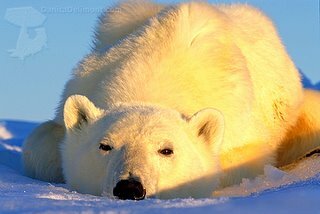 I love to hibernate alot myself so thaaat suits me fine, LOL. Notice, i added an E to the bear? that’s for my relish of alcoholic drinks *hic hic* Lo and behold, winterbeear is here!! Back to reality, I am a SYT outside blogosphere. I do not utter a word of profanity in front of others except very close friends out of rage. (u know who you are). Come and know me, you’ll love me. I will however, continue to swear or curse all i want here because it’s MY blog. I can write whatever i want on it and you can’t stop me. HAHAHA*hands stuck at the waist* Lei chui ah…. u tak habis habis wit the LOW joke wan ya~ not all blog got vulgarity. Some very decent and proper and talks about enviroment, save the animal or politics wan.